Aktashite: Mineral information, data and localities. Named after its discovery locality in Russia. Published without approbation, but recognize as valid species by the IMA CNMNC Sulfosalts Subcommittee (2008). Rarely in crystals resembling trigonal pyramids, to 0.2 mm, which may be zoned with gruzdevite; as xenomorphic grains and granular aggregates. Gal-Khaya, Yakutia, Russia (ICDD 25-298). Central Siberian Geological Museum, Novosibirsk, Russia, III-14/1; National School of Mines, Paris, France. Uncommon, of hydrothermal origin in complex polymetallic As–Hg-bearing deposits. Arsiccioite 3 photos of Aktashite associated with Arsiccioite on mindat.org. Realgar 1 photo of Aktashite associated with Realgar on mindat.org. Vasil'ev, V.I. (1968) New ore minerals of the mercury deposits of Gornyi Altai and their parageneses. In: Voprosy metallogenii rtuti (Problems of mercury metallogeny). Izdatelstvo "Nauka" Moskva 1968, 111-129. Fleischer, M. (1971) New mineral names. American Mineralogist: 56: 358-362. Gruzdev, V.S., Chernitsova, N.M., Shumkova, N.G. (1972) Aktashite - Cu6Hg3As5S12, new data. Doklady Akademii Nauk SSSR: 206(3): 694-697. Fleischer, M. (1973) New mineral names. American Mineralogist: 58: 560-562. Kaplunik, L.N., Pobedimskaya, E.A., Belov, H.V. (1980) Kristallicheskaya struktura aktashimita Cu6Hg3As4S12. Doklady Akademii Nauk SSSR: 251(1): 96-98. Vasil’ev, V.I., Pervukhina, N.V., Borisov, S.V., Magarill, S.A., Naumov, D.Y., Kurat’eva, N.V. (2010) Aktashite Cu6Hg3As4S12 from the Aktash deposit, Altai, Russia: Refinement and crystal chemical analysis of the structure. Geology of Ore Deposits: 52: 656-661. Vasil’ev, V.I., Pervukhina, N.V., Borisov, S.V., Magarill, S.A., Naumov, D.Y., and Kurat’eva, N.V. [Васильев, В.И., Первухина, Н.В., Борисов, С.В., Магарилл, С.А., Наумов, Д.Ю., и Куратьева, Н.В.] (2009) Refinement and crystal chemical analysis of the structure of Aktashite Cu6Hg3As4S12 from the Aktash deposit( Altai, Russia) [Уточнение и кристаллохимический анализ структуры акташита Cu6Hg3As4S12 из месторождения Акташ (Алтай, Россия)]. Zapiski RMO [Записки РМО], 138, 2, 75-82 (in Russian); Vasil’ev, V.I., Pervukhina, N.V., Borisov, S.V., Magarill, S.A., Naumov, D.Y., and Kurat’eva, N.V. (2010) Aktashite Cu6Hg3As4S12 from the Aktash deposit, Altai, Russia: Refinement and crystal chemical analysis of the structure. Geology of Ore Deposits, 52, 7, 656-661. Anthony, Bideaux, Bladh, Nichols: "Handbook of Mineralogy", Vol. 1, 1990; Johan, Z. & Mantienne, J. (2000): Thallium-rich mineralization at Jas Roux, Hautes-Alpes, France: a complex epithermal, sediment-hosted, ore-forming system. J. Czech Geol. Soc. 45, 63-77. Biagioni, C., Bonaccorsi, E., Moëlo, Y., Orlandi, P. (2014): Mercury-arsenic sulfosalts from Apuan Alps (Tuscany, Italy). II. 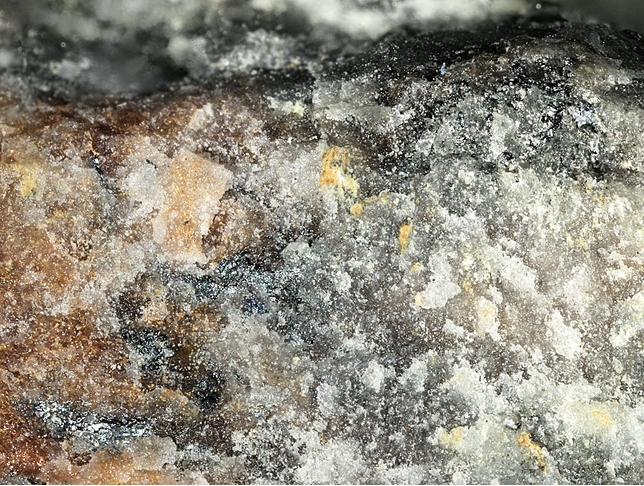 Aktashite, Cu6Hg3As4S12, and laffittite, AgHgAsS3, from the Monte Arsiccio mine: occurrence and crystal structure. Periodico di Mineralogia, 83, 1-18.; Biagioni, C., Bonaccorsi, E., Moëlo, Y., & Orlandi, P. (2014). 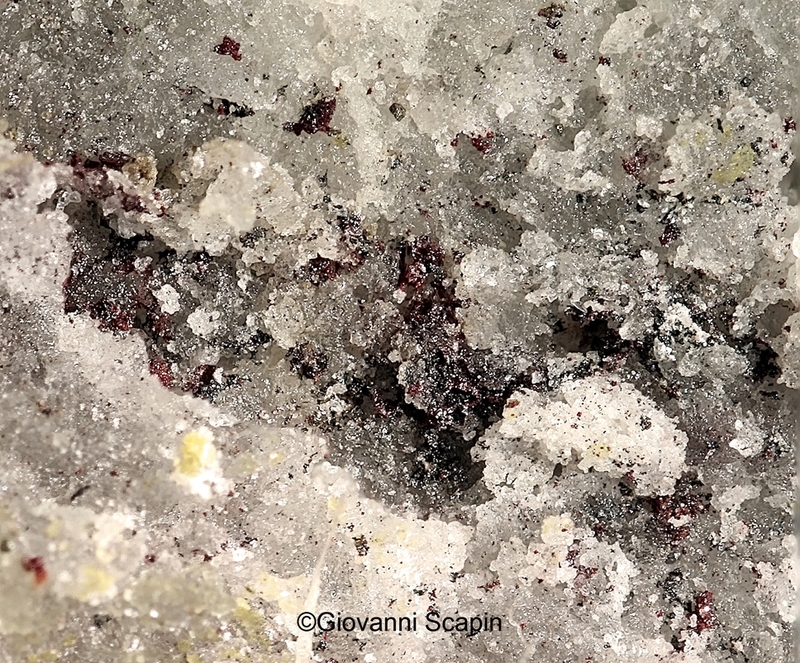 Mercury-arsenic sulfosalts from Apuan Alps (Tuscany, Italy). I. Routhierite,(Cu0. 8Ag0. 2) Hg2Tl (As1. 4Sb0. 6)∑= 2S6, from Monte Arsiccio mine: occurrence and crystal structure. European Journal of Mineralogy, 26(1), 163-170. [Lapis 1993:11 p11-24]; Pekov, I. (1998) Minerals First discovered on the territory of the former Soviet Union 369p. Ocean Pictures, Moscow; Spiridonov, E. M., KRAPIVA, L., Stepanov, V. I., & Chvileva, T. N. (1981). 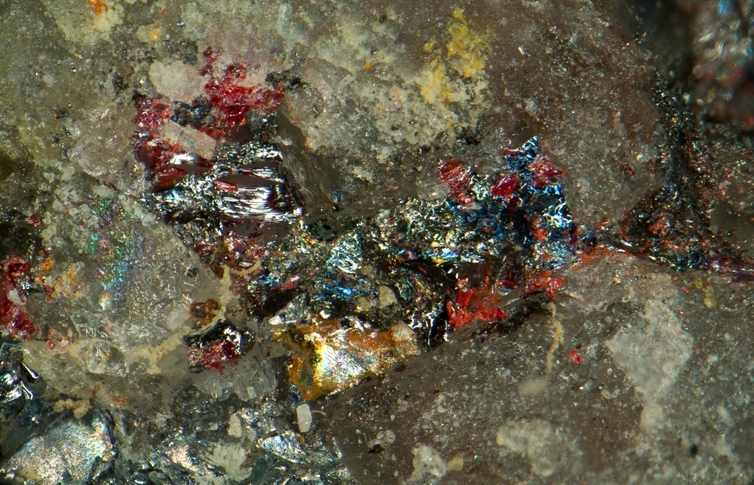 Antimonous Aktashite from the Chauvai Mercury Deposit (Central Asia). Doklady Akademii Nauk SSSR, 261(3), 744-748. [Clark, 1993 - "Hey's Mineral Index, 3rd Edition"]; Pekov, I. (1998) Minerals First discovered on the territory of the former Soviet Union 369p. Ocean Pictures, Moscow; V. I. Vasil’ev, N. V. Pervukhina, S. V. Borisov, S. A. Magarill, D. Yu. Naumov and N. V. Kurat’eva (2010): Aktashite Cu6Hg3As4S12 from the Aktash deposit, Altai, Russia: Refinement and crystal chemical analysis of the structure. Geology of Ore Deposits 52, 656-661. Bryzgalov, I. A., Shcherbachev, D. K., & Konyshev, V. O. (1999). Aktashite in Ores from the Kyuchus Gold-Mercury Deposit, Northeastern Yakutia. In Doklady earth sciences (Vol. 365, pp. 272-275). Springer. Martín-Izard, A., Gumiel, P., Arias, M., Cepedal, A., Fuertes-Fuente, M., & Reguilón, R. (2009). Genesis and evolution of the structurally controlled vein mineralization (Sb–Hg) in the Escarlati deposit (León, Spain): Evidence from fault population analysis methods, fluid-inclusion research and stable isotope data. Journal of Geochemical Exploration, 100(1), 51-66.
Henley, R. W., & Berger, B. R. (2012). Pyrite–sulfosalt reactions and semimetal fractionation in the Chinkuashih, Taiwan, copper–gold deposit: a 1 Ma paleo‐fumarole. Geofluids, 12(3), 245-260.